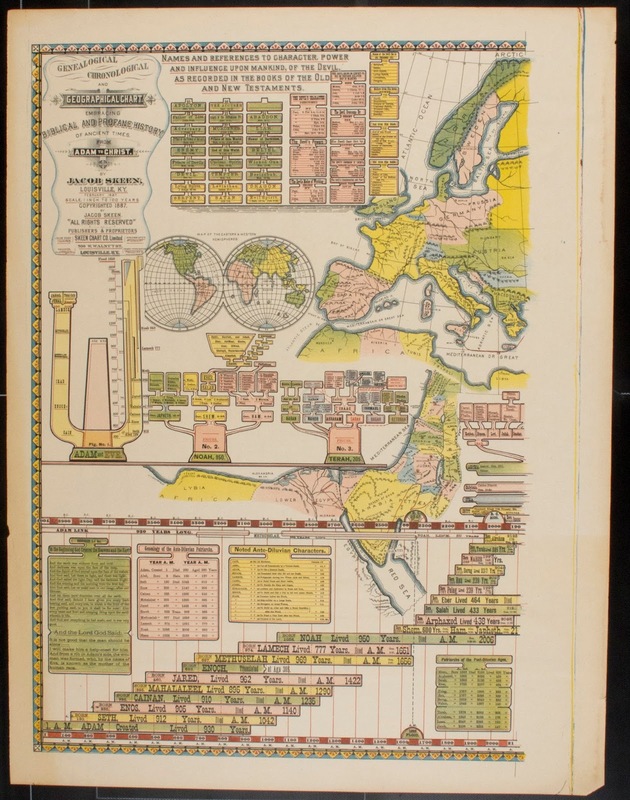 This chart was printed by the Skeen Chart Co. in Louisville, Kentucky, in February of 1887. The chart represents one of the more unusual economic schemes put forward by the Shakers to support their communities. The United Society of Believers in Christ’s Second Appearing (or Shakers) is a religion founded upon the teachings of Ann Lee and an offshoot of English Protestantism originating during the First Great Awakening (1730s and 1740s). Called Shakers due to the rapturous character of their early worship, often speaking in tongues, they believe in celibacy, equality of the sexes, and communalism. They are most well known for their contributions to American culture through their style of craftsmanship and music. After immigrating to New York by 1774, they set up separate communities supported by producing and selling various goods and services, such as their hospitality (tourism), seeds, crops, food stuffs, furniture, baskets, clothing, and printed cards. Currently, Lake Sabbathday, Maine, is the only active and functioning Shaker village in the world. 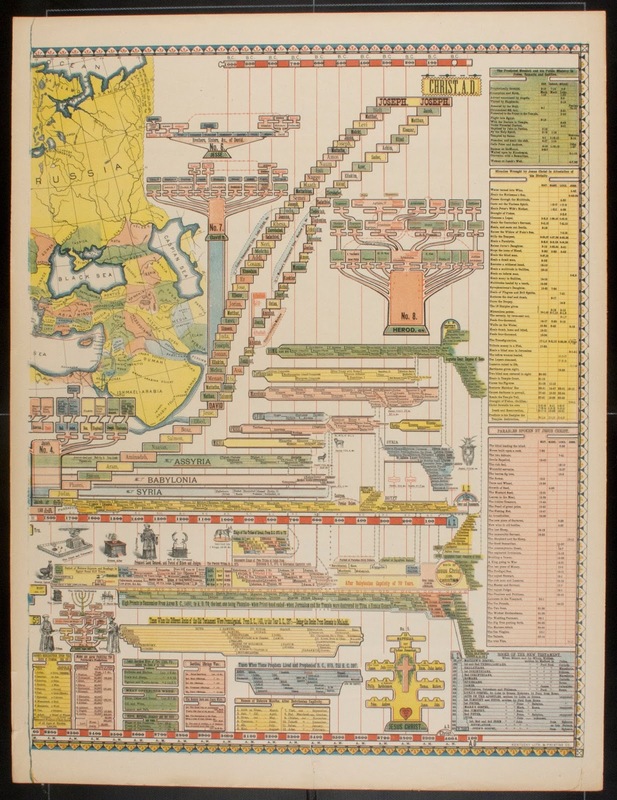 Jacob and David Skeen, non-Shaker brothers from Ohio, proposed the bible chart project in 1886. 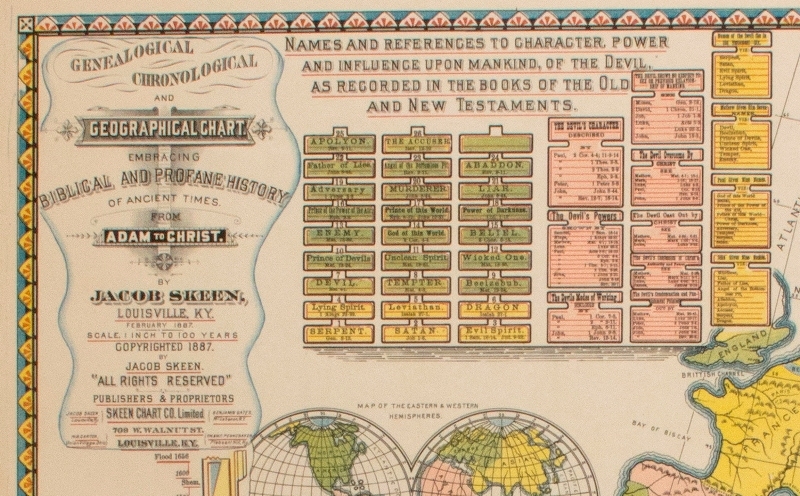 The Shakers would underwrite, produce, and distribute lithographic bible charts printed with a map of the world and biblical genealogical information. 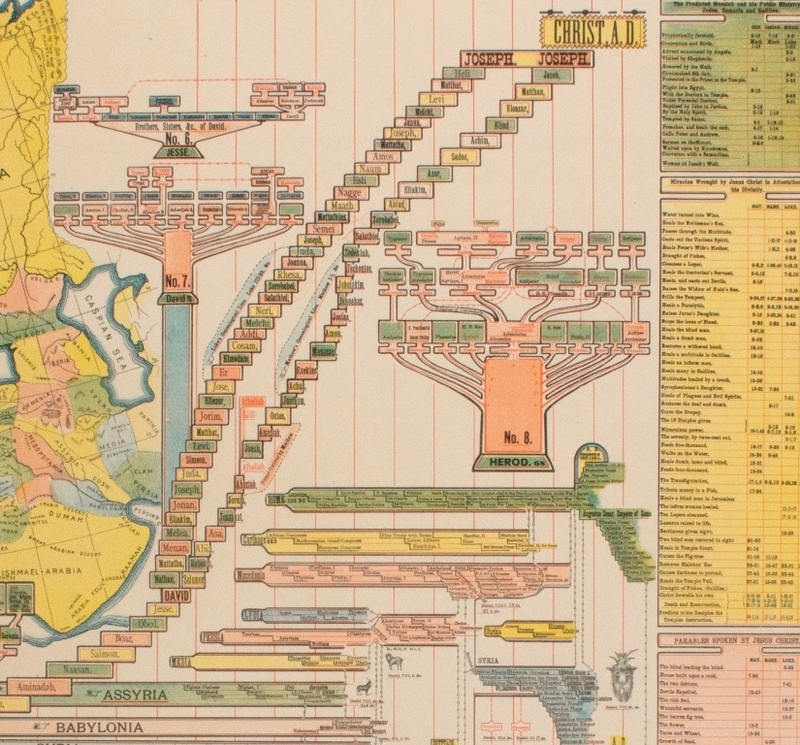 The charts were to be used in the biblical instruction of children. Ultimately the charts were printed commercially in Louisville. Beyond simply being an artifact of the Shakers’ economic history, the chart is representative of Shaker spirituality. Shaker religious thought began to evolve in the late 19th century, attempting to reconcile their beliefs with a changing world. Shakers began to collaborate with evangelical Protestants such as Baptists and Methodists, allowing them to use their facilities and forming joint Sunday schools. Additionally, the Shakers began to study the Bible more closely, which in turn led to the Skeens’ bible chart project. 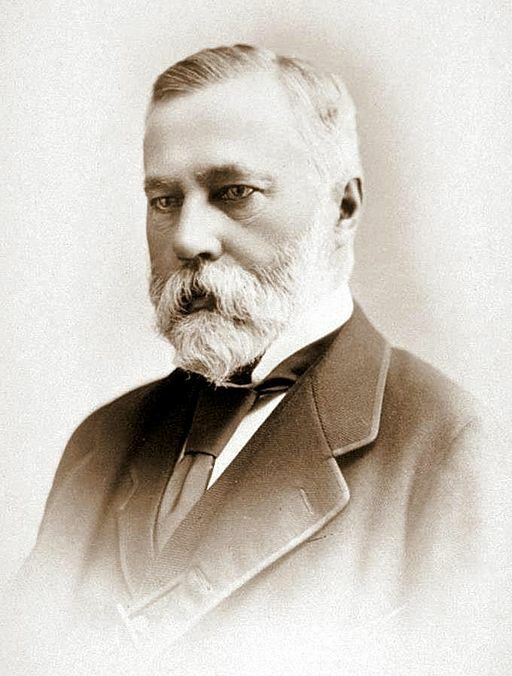 Alonzo G. Hollister, a Shaker scholar, was particularly interested in the project due to his fascination with study aids. The chart traces biblical genealogy from Adam to Jesus Christ and contains subcharts listing parables of Jesus and the books of the New Testament. Additionally the charts are inscribed with the names of four major Shaker communities: Mount Lebanon, Union Village, Pleasant Hill, and South Union. Only Mount Lebanon in New York was directly involved in the project, with Shaker sisters backing the charts for sale. After printing 204 charts the business shuttered in 1887. In 1939, President Frank L. McVey announced to the Board of Trustees that Margaret Voorhies Haggin had created a trust fund in memory of her late husband, James B. Haggin. Over the years, the gift has enriched the program of the University through the encouragement given to the artistic and intellectual life of the institution. The funds have not been used for regularly occurring expenses but for highly desirable equipment as a great organ, rare books, works of art, for lectureships, scholarships and for the publications of scholarly books. 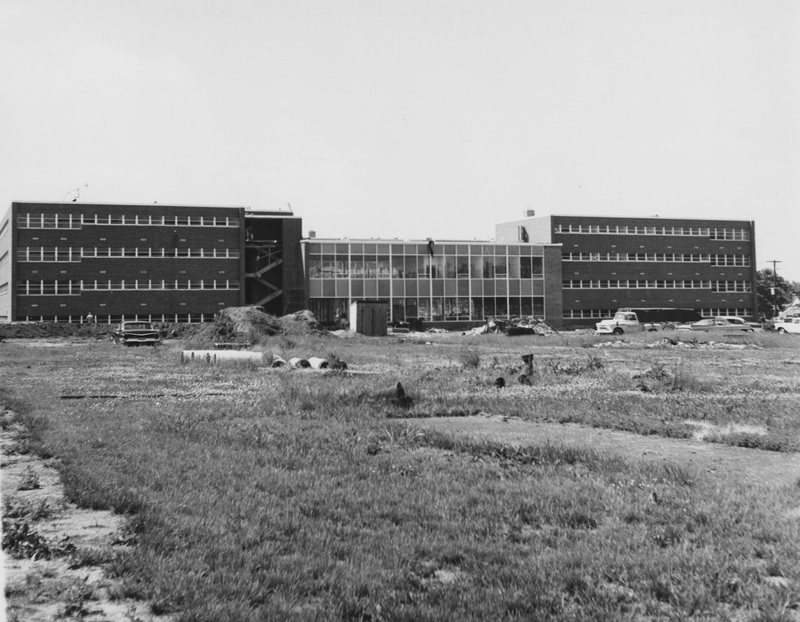 In September of 1960 a new dormitory was dedicated by UK President Frank G. Dickey. He challenged the students who were to live there to use the knowledge gained at UK for the good of their fellow men. It was designed to promote the educational progress of the students while providing healthful surroundings for general living. Fittingly, the new dorm was named in honor of the late James B. Haggin and his wife, Margaret V. Haggin. 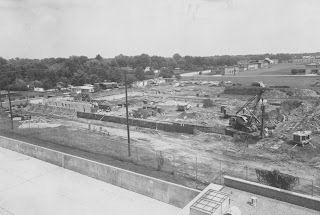 The 575 bed dormitory was the largest and newest on the campus. It was constructed at a cost of $1,800,000 under a bond issue financed by the Federal Housing and Home Finance Agency. 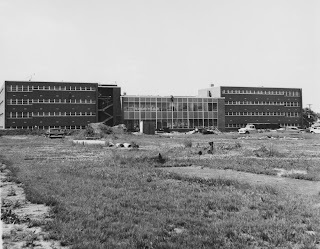 The dorm had central air conditioning and heating facilities with individual climate control units in each room; external stairwells to reduce internal noise; an intercom system from the central office to the corridors to make communication more effective and lounge and recreation areas placed so that fellow students wouldn’t disturb others. Haggin Hall served the University well until May of 2013 when it was demolished to make room for new growth at the University. But who was James Ben Ali Haggin? Haggin was born around 1827 in Frankfort, Kentucky. His father was a native Kentuckian and his mother was Turkish. He followed the gold rush to California and owned numerous mines. 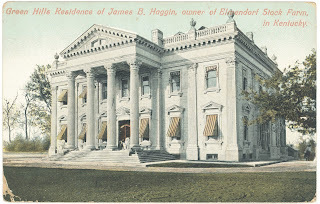 Haggin sold his share of mines to purchase land in California, a single tract measuring 400,000 acres. 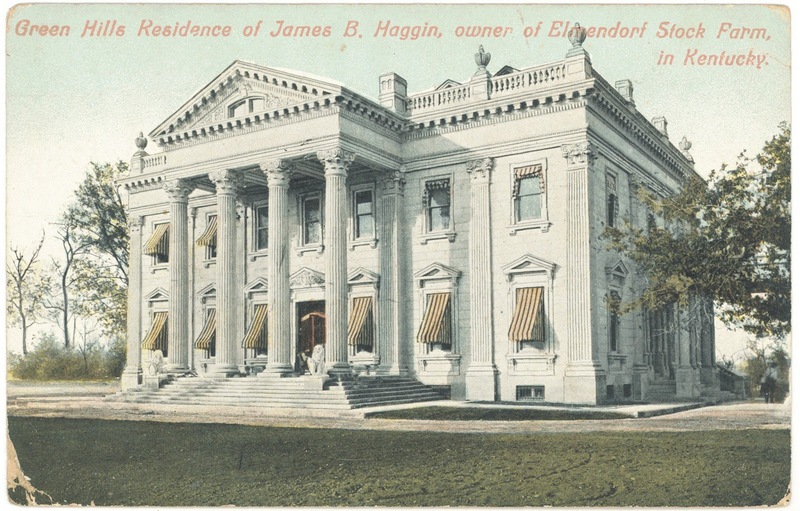 Haggin went from land owner to stock raiser, turfman, and raiser of thoroughbreds. He bought more land in the heart of the Bluegrass - 5,000 acres that he made famous under the name of Elmendorf. After the death of his son, Ben Ali, Haggin turned his attention to raising thoroughbred stock and horses at Elmendorf farm. Haggin was a successful and varied man who left a long lasting legacy, he passed away in 1914 at the age of 87.